Loeb-Sullivan School invites applications from all individuals interested in pursuing challenging new opportunities in international business/maritime management/supply chain management. For the benefit of participants and the program, the Graduate Admissions Committee seeks a group of students with comparable managerial aspirations, but with diverse skills and experiences. Applications are accepted until June 1 of the entering year. Applicants must possess an accredited baccalaureate degree or equivalent; a business degree is not a prerequisite. Applicant selection is based on evidence of academic capability demonstrated by college grade-point average, scores on either the Graduate Record Examination (GRE) or the Graduate Management Admission Test (GMAT), and evidence of motivation for completing the program as demonstrated by the candidate’s personal statement of intent and letters of recommendation. Essay responses are critical for this writing intensive program. Apply to the Graduate School by submitting an online application. If a written copy is required, please contact the administrative coordinator of the graduate school. A Letter of Recommendation, academic or professional, will automatically be e-mailed to two (2) individuals of your choice when you complete the online application. The Personal Statement of Interest should answer the following questions: “How will your admission to the Loeb-Sullivan School help you achieve your professional goals.” Additionally, please explain why you wish to study logistics? 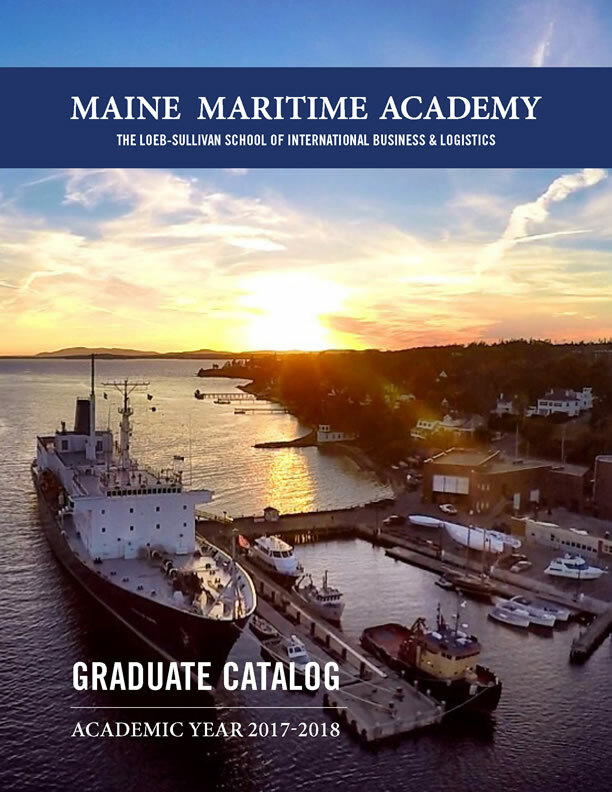 Your Graduate Management Admission Test (GMAT) or Graduate Record Exam (GRE), results must be sent directly to Maine Maritime Academy, Loeb-Sullivan School Department of Graduate Studies by the testing agency. Our ID# is 3505. No scans or copies will be accepted. Applicants whose language of education is not English must submit results of the Test of English as a Foreign Language (TOEFL) or the International English Language Testing System (IELTS). Examination results must be sent directly to Maine Maritime Academy, Loeb-Sullivan School Department of Graduate Studies by the testing agency. Our institutional code is 3505. No scans or copies will be accepted. An application for evaluation is available through their respective on-line service. This service does require a fee directly to the provider. The fee varies depending on which service you choose and what type of evaluation you request. Maine Maritime Academy requests that prospective international students do an undergraduate course-by-course breakdown of credits, a calculation of credit hours, and a verification of authenticity.